Sleek and sophisticated, our signature matte stone grey finish vape is a perfect choice for the everyday vaper. Bought this morning at JWell Toulon. Impressive once we took the shot. Jwell has achieved the feat of reproducing the sensation of suction of a cigarette filter, and it makes steam! Perfect with the BO Power. Que dire de plus ?! se transporte facilement, ne coule pas, produit une vrai bonne fumée et se recharge hyper rapidement ! vapoteur depuis longtemps, j’ai remplacé mes autres cigarettes par celle la directement ! Excellent product I tried every possible electronic cigarette I was always disappointed, leaked etc and especially still want to smoke but then with this product I have the impression that it is a normal cigarette the feeling of draw is at the identical. 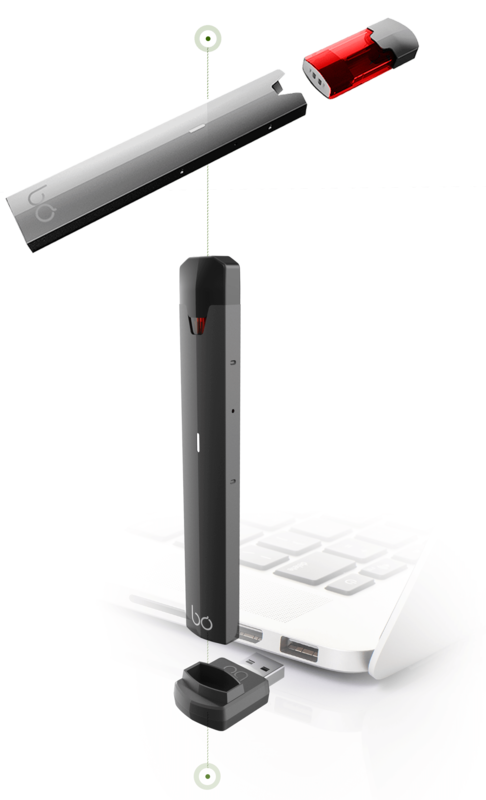 Je vape depuis longtemps , mais là avec ce système c’est enfin simple , efficace , bon , discret , parfait pour arrêter direct le tabac , mais aussi pour les autres , un grand bravo pour cette innovation ! 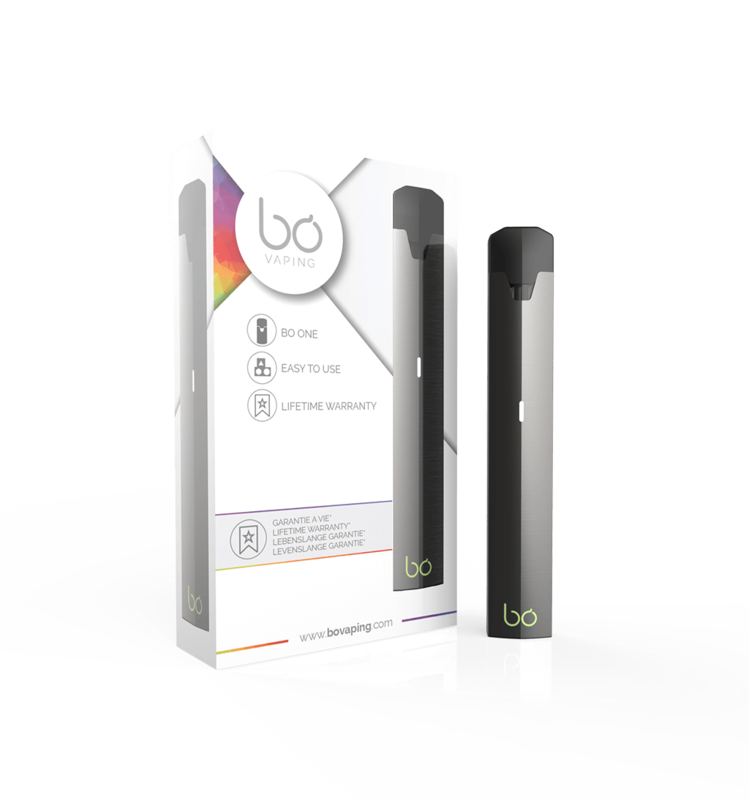 Just great … I bought the BO one almost by chance and rather for the object because I did not see me walk with a cigarette e the size of a walkie talkie or fill a tank or change parts etc … Well she has not left me for a week and I have almost no smoking since. Thank you ! Wurde heute geliefert, hab 2 Ones bestellt eine für meine Mutter zum Geburtstag und eine zum Testen. Die Pods brauchen ein paar Züge bis sie richtig dampfen 16mg ist für einen starken Raucher, 2 Schachteln am Tag, ziemlich gut. Ich dampfe eigentlich 6mg/ml in RDA’s und es hat mich grad kurz n bisschen zu hart weg gedonnert. Die blaue LED ist mir viel zu krass, hab ganz schnell gelernt die LED nach unten zu richten.